Home Bible Who Wrote The Book Of Revelation? 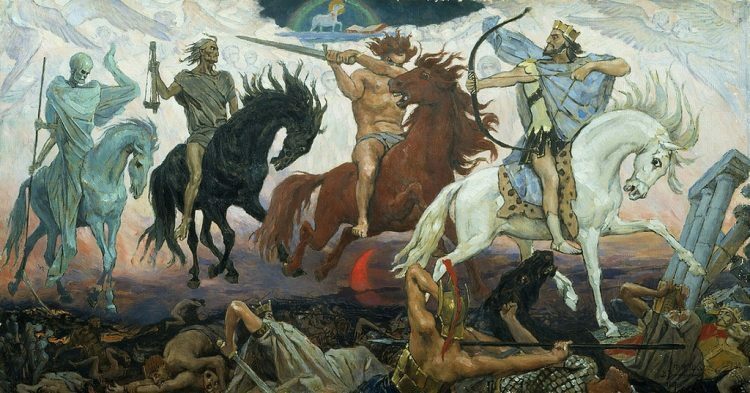 By Clark Bates| The book of Revelation was the last to be included in the formalized canon of the New Testament and has created no little amount of perplexing interpretive issues for centuries. It should not be surprising then that its authorship has come under great scrutiny. In what follows, the main objections to traditional authorship will be presented with responses in favor of traditional authorship and the additional external evidence surrounding the book of Revelation in the early church. Most who reject the traditional authorship of Revelation fall into the same reasoning as Dionysius, Bishop of Alexandria in the mid-third century, who felt that the author was a John other than the apostle. First, there is the lack of overt apostolic claims. 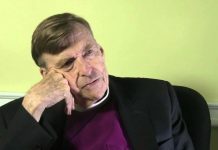 The author, it is reasoned, could not be an apostle given that he never claims to be such, never alludes to gospel events, and never claims a special relationship with Christ. Much is also made of the seemingly separate but significant role the author places on the apostles, not numbering himself among them (Rev. 18:20; 21:14). That being said, of the books believed to be authored by the apostle, Revelation is the only text among them that carries an explicit declaration of authorship. While he may not reveal more, the author identifies himself as “John the slave of (God)” (Rev. 1:1b), exiled on the island of Patmos (1:4,9), and for this reason it is largely accepted that the book is written by a particular “John” rather than a pseudonymous author in the way it is suggested of several Pauline Letters. Working from the last to the first, regarding Cerinthus, we possess no information concerning this early sectary which reaches back to his own times. The first mention of his name and description of his doctrines occur in Irenaeus (c. AD 170). Cerinthus was an Egyptian, and if not by race, a circumcised Jew. The exact date of his birth and his death are unknown, and none of his writings of any kind are extant. What can be known from early recordings regarding Cerinthus’ doctrines is that he admitted one Supreme Being; but the world was produced by a distinct and far inferior power. Yahweh is not responsible for creation but the angels have both made the world and given the law. The Jewish law was most sacred, and salvation to be obtained by obedience. According to Cerinthus, Jesus was mere man, though eminent in holiness. 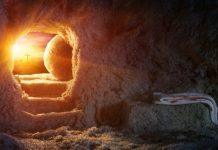 He suffered and died and was raised from the dead, or, as some say Cerinthus taught, He will be raised from the dead at the Last Day and all men will rise with Him. At the moment of baptism, Christ or the Holy Ghost was sent by the Highest God, and dwelt in Jesus teaching Him, what not even the angels knew, the Unknown God. Cerinthus believed in a millennium which would be realized on earth previous to the resurrection and the spiritual kingdom of God in heaven. Only his disciples claimed that Cerinthus authored the book, and even then, it was not on the basis of historical considerations but theological ones. With so little supporting attestation, there is very little weight to place upon this suggestion. Written by John the Baptist? The only author to argue in favor of John the Baptist as author of the apocalypse is Ford, who believed that Revelation was compiled in three stages. The first being chapters 4-11, recorded by John from visions he received prior to the ministry of Jesus; second, chapters 12-22 by a disciple of the Baptizer’s before A.D. 70; and third, chapters 1-3, by an unknown final editor. No scholars have taken up Ford’s endeavor however, given the difficulty of defending how a book existing on such a periphery of Christianity could make its way into the Canon. Regarding John Mark, Dionysus the Great, bishop of Alexandria, once thought it to be authored by him and is still considered the progenitor of much of the dissenting views in current scholarship. That being said, it is recorded by the church historian Eusebius, that the Bishop came to reject such a position based on the lack of historical evidence that John Mark ever traveled to Asia. This leaves us with John the apostle, John the elder (another John), or a pseudonymous author. Given the author’s reference to himself simply as “John” without qualifier, it would seem that he was a well-known figure in Ephesus at the time of the writing. Early church tradition places John the apostle in exactly this position near the end of his life, making him a more likely candidate than an unknown John. 1) The vast multitudes of solecisms (apparent grammatical incongruity) and unparalleled idiosyncrasies of his Greek reveal a Semitic syntax. 2) John was a prophet who wrote an apocalypse. Because of this, and the external evidence that will be presented later, there is more reason to accept apostolic authorship over other possibilities. Can the differences between John’s Gospel and Revelation be reconciled? Others have stated that the differences suggest biblical Hebrew or Aramaic that influenced the author while writing in Greek, which proves that it was not a translation of an original Hebrew work. This is in contrast to the Greek of the fourth gospel, whose Greek is accurate and clear. In response to this objection, many scholars have sought to clarify these differences without being disingenuous to the reality of their existence. As with differences found in the writings of Paul, the use of, or lack of, an amanuensis is thought to contribute greatly. If the apostle had used a scribe for his earlier writings, but penned the apocalypse in his own hand (being exiled to an island), the difference in style and grammar would be noticeable. Others have argued on the basis of the nature of the text itself. It is unknown what effect the visions recorded in Revelation would have on the author, but it is suggested that this would dramatically influence the writing. More convincingly however, is Charles’ exhaustive treatment of the grammar of Revelation in which he finds the differences in style deliberate. Charles argues that the immediacy of the visions and the genre difference between the apostle’s earlier writings and this, are responsible for the changes. A final objection, and easily the more important, is that there are theological differences. The tone of the two books seems radically different, with the God of John a God of love who seeks the conversion of the “world” (John 3:16; 1 John 4:9-10), while the God of Revelation is a God of wrath and judgment. A similar divergence is claimed to exist in the Christology of the two writings. The fourth gospel reveals Christ as the Redeemer and Revealer, whereas Revelation pictures Christ as conqueror and ruler. Lastly, it is argued that the eschatology of John is that of a “realized eschatology” wherein the last things are viewed as completely realized in the incarnation, death, and resurrection of Christ. The book of Revelation, it is argued, focuses almost exclusively on a coming of Christ at the end of history. Because of this, it is concluded that the same author cannot be responsible for both books. As a final response to this objection, much of the supposed differences are overdrawn and incapable of proving much. To begin with, the contrast in theology is a false contrast. 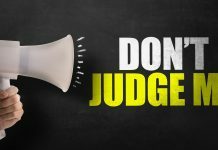 While much can be made of the God of love in John’s gospel, judgment is also central (5:22, 30; 9:39). Likewise, in Revelation God is not solely wrathful, but seeks repentance (9:20-21; 14:6-7; 16:9, 11). In the same manner, the book of Revelation demonstrates the sovereignty of Christ but not at the expense of His redemption, neither is the eschatology different from one to the other. The last things have both been realized in the death and resurrection of Christ and await their final consummation at the end of history. 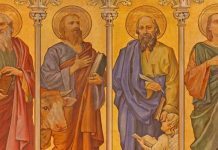 That the theological emphases of the fourth gospel and of Revelation are different, no one can deny, but the different settings and purposes of these books adequately explain these differences. In short, while much can be, and has been, made of these difficulties, there is little to suggest negatively that the author of Revelation is anyone other than the apostle, as has been established since its inception. As has been related in the footnotes earlier, Church history unanimously ascribes the book of Revelation to John the apostle. This affirmation is attested by Justin Martyr (ca. AD 100-165), Irenaeus (ca. AD 130-200), Clement of Alexandria (ca. AD 150-215), Hippolytus (ca. AD 170-236), Origen (ca. AD 185-254), and Tertullian (ca. AD 160-225). So attested is the book of Revelation by early and later church fathers that those who deny it suppose the early church fathers were simply ignorant of the true origins of the book and erroneously assumed that the author must have been the son of Zebedee. The first to reject Johannine authorship of Revelation was the heretic Marcion (ca. AD 150) because of its strong Jewish characteristics. This rejection bears very little weight however, considering Marcion rejected a majority of the New Testament. After Marcion came Gnostic groups flourishing in Asia Minor in AD 170 who rejected the traditional authorship in favor of the heretic Cerinthus, who has been dealt with above. It must be noted that the dissenting voices of the Second century opposed Revelation, not on historical grounds, but because it conflicted with their theology. The book of Revelation was the last text to be included within the formalized canon of the New Testament, but on the basis of content rather than authorship. While its authorship may continuously be a point of contention with modern historical-critical scholarship, this has not been the case until recently. As with other canonical texts, the internal evidence, historical attestation, and lack of positive alternatives provide every reason to accept traditional authorship over and against the objections. Grant R. Osborne, Baker Exegetical Commentary on the New Testament: Revelation, (Grand Rapids: Baker Academic, 2002), 2. Irenaeus, Against Heresies, 1.26; 3.3; 11. J.M. Ford, Revelation, AB 38 (New York, NY: Doubleday, 1975), 28-46. Eusebius, Ecclesiastical History, 3.17-23; Ignatius, Against Heresies, 5.26; 2.21; 4.20.11; Clement of Alexandria, Paedagogus, 2.108; Origen, De Principiis, 1.2.10. Andreas J. Kostenberger, L. Scott Kellum and Charles L. Quarles, The Cradle, The Cross, and The Crown: An Introduction to the New Testament, (Nashville: B&H Academic, 2016), 930. R. H. Charles, Revelation of St. John, 1. xliv. It should not be assumed that this is a singular viewpoint as the author’s Palestinian origin is held by the majority of scholars. Consider Aune, Revelation 1-5, G. R. Beasley-Murray, Revelation, and W.G. Kummel, Introduction to the New Testament, among others. Stephen Thompson, The Apocalypse and Semitic Syntax, SNTSMS 52 (Cambridge: Cambridge University Press, 1985). D.A. Carson and Douglas J. Moo, An Introduction to the New Testament, (Grand Rapids: Zondervan, 2005), 704. George Eldon Ladd, A Commentary on the Revelation of John, (Grand Rapids: Eerdmans, 1972), 7-8. Carson and Moo, Introduction, 703. D. Guthrie, Introduction to the New Testament, (Downers Grove: InterVarsity, 1990), 935. Kostenberger, Kellum and Quarles, Introduction, 932. This article was originally published on Exejesus and was republished with permission. Next articleDoes The Multiverse Eliminate The Need For God?